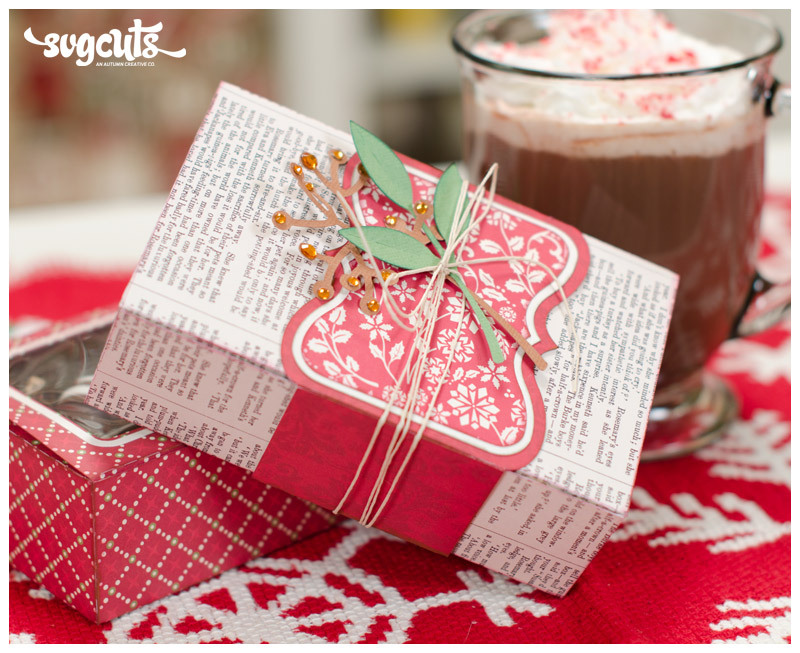 Ready to create a some very special handmade gifts this Christmas with your cutting machine? 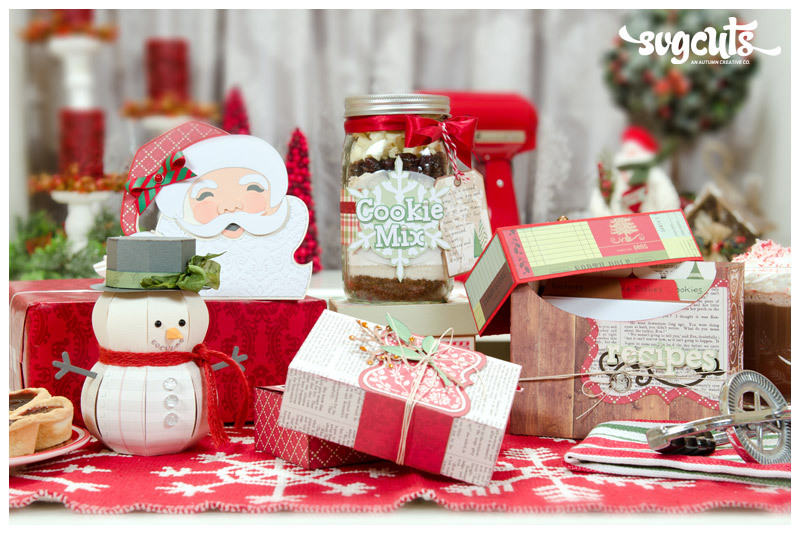 Fill the cute 3D Snowman container with treats (his hat slides off and is a lid) or fill up the Recipe Card Box with some of your favorite tried-and-true holiday recipes. It makes a nice keepsake for yourself and your family, or a really special gift for a cook. Your download includes a letter-sized PDF document featuring two ruled, decorated index cards which you can print, trim to 4x6 and write on. 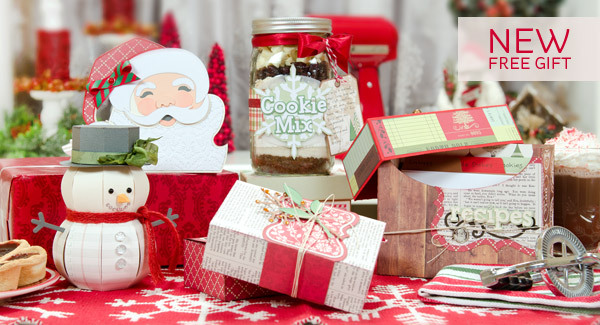 Give the gift of baking! 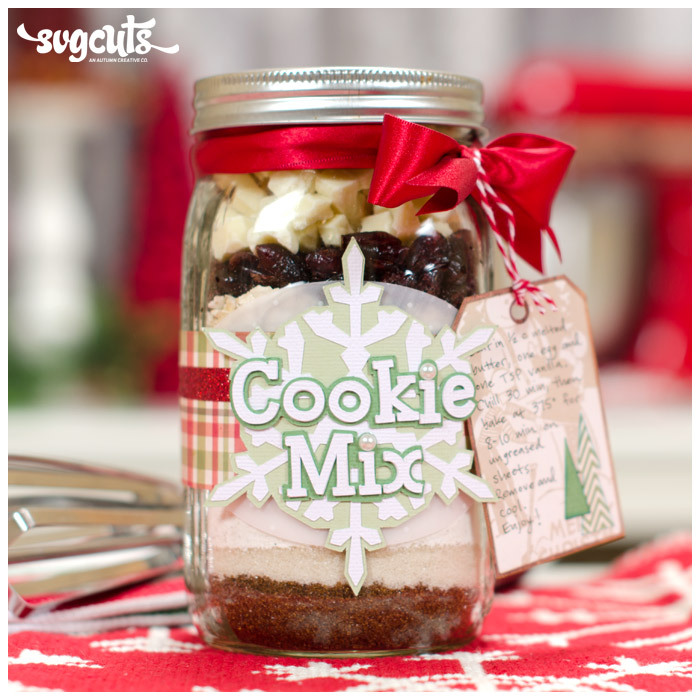 Fill up a large canning jar with the dry ingredients for cookies and decorate your jar. The instructions look cute on its tag, and you can find many recipes for "cookie mix in a jar" online (we used one from the "Taste of Home" website). 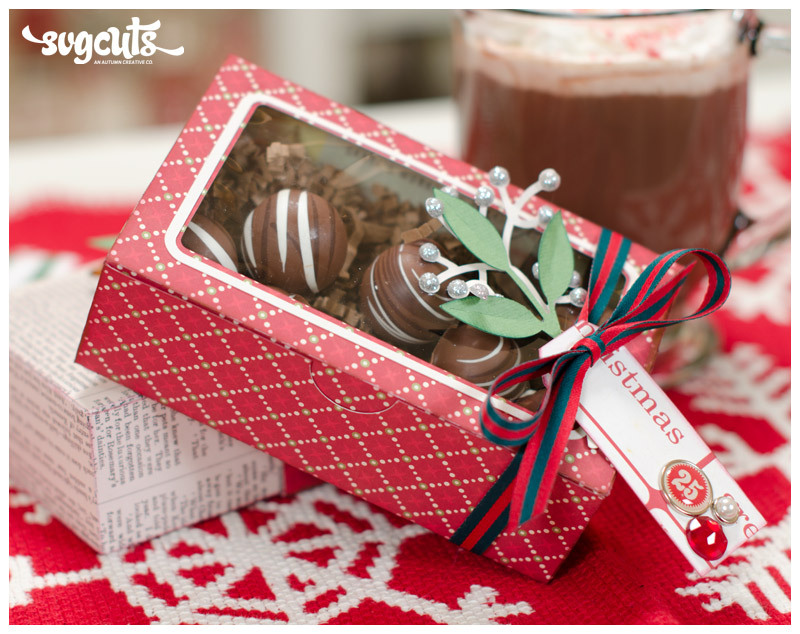 The One-Piece Box has a hinged lid and an optional window in the lid, and is quick to make and great for treats or a small gift. 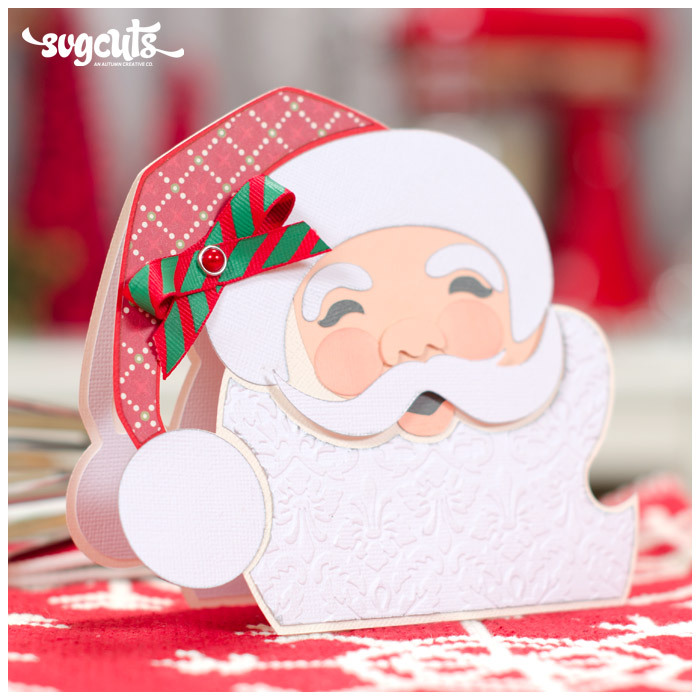 And finally the vintage-inspired Santa Card can accompany any of your gifts! The finished One-Piece Box is 3.5 x 5.5 x 1.75." 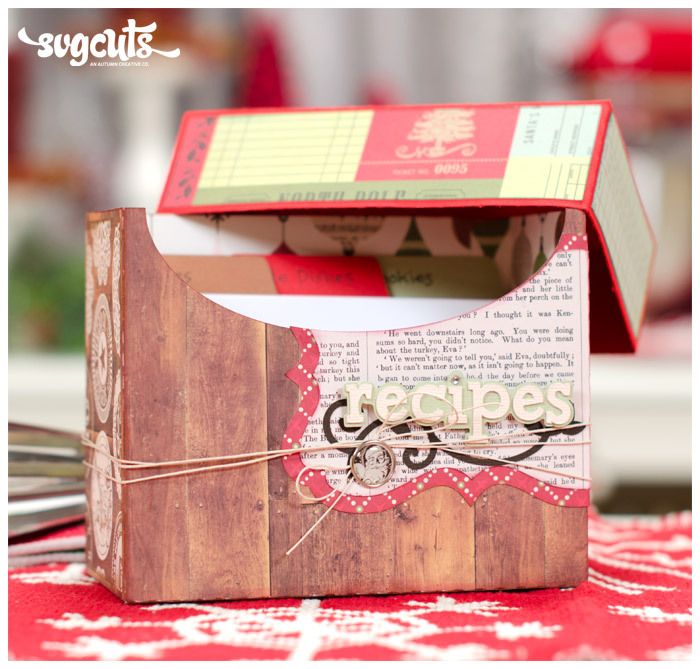 The finished Recipe Card Box is 6.25 x 5 x 3.25" and holds 4x6" recipe cards. 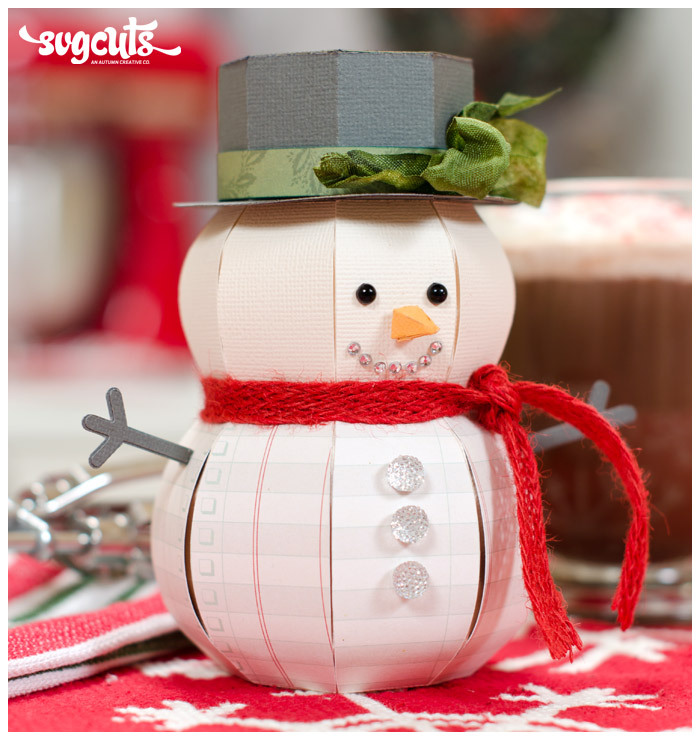 The finished Santa Card is about 6x6" and the finished Snowman is about six inches tall. SCAL2, SCAL3, ECAL, MTC, and Silhouette Studio Designer Edition. 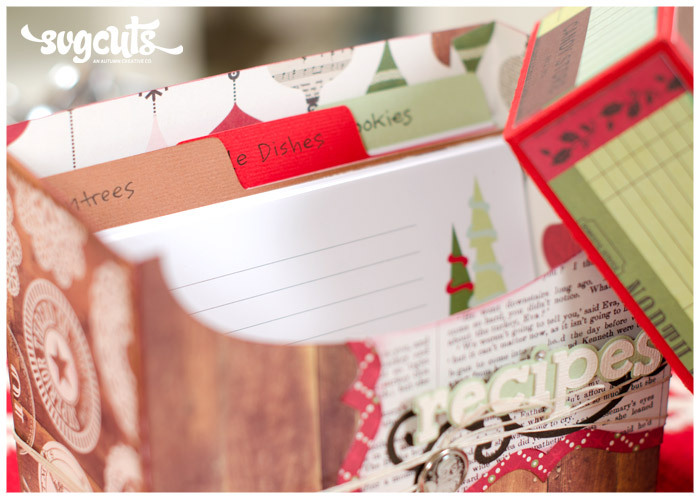 12x6 mat users cannot create the Recipe Card Box and the card's envelope. 8.5x11 mat users cannot create the card's envelope. what glue do you use? I like that it can go into the cap, and how fast it dries. thanks for letting me know.